If Neil McManus had his way, the situation would be as Martin Fogarty suggested two-and-a-half years ago: hurling would be on the curriculum in schools. 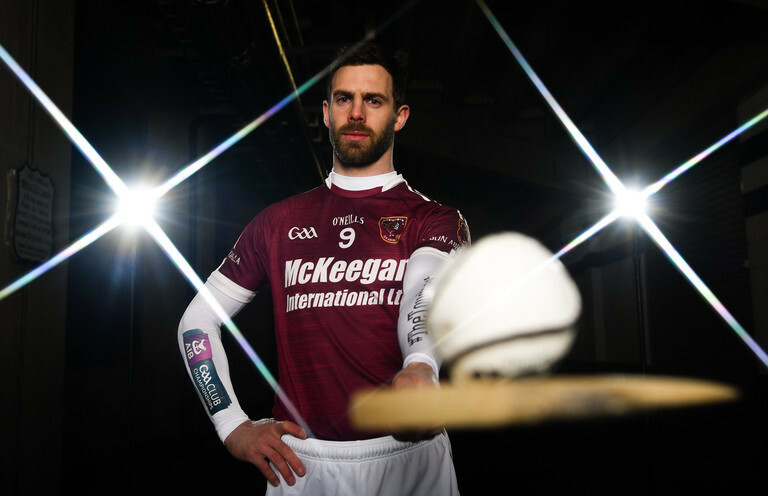 "I could not agree more," said McManus ahead of this weekend's AIB All-Ireland Club Hurling Championship semi-final which sees his Ruairí Óg Cushendall side take on Galway champions St. Thomas. Hailing from the Glens of Antrim, an area deeply passionate about hurling, McManus wants to see the sport's benefits experienced by all, but especially in his home county. "There's just far too many children going through schools in the north, through the Catholic schools system, without ever having lifted a hurl. There's a huge percentage of them coming out without any structure and experience of playing hurling. "I've just finished doing the Jim Madden Leadership Programme through the GPA and it's the best piece of education I've ever undertaken. You realise how much of it you've already learned from the changing room, from being exposed to certain situations on a hurling field. "The more sporting experience we give children at a younger age, the more lessons they learn that are actually applicable to everyday life, like building relationships with people. "Some of the stuff we're taught in school, we never use it - that's the truth of it. Some of it is horseshit - that's the truth of it." Antrim, and in particular Belfast, could be a mother lode for the GAA - they just need to find a way of mining it. Last year, the GAA launch the 'Gaelfast' initiative, the association's biggest ever push to promote Gaelic games in the city. McManus believes it is a step in the right direction but ultimately lacks the financial weight to turn Belfast into a city which loves Gaelic games. It’s probably five to ten per cent of what is required. It’s not even ten per cent of what Dublin has done. They spend almost 100 million on coaching and structures to make it a viable hurling city but it worked and you can’t do it without money. You need boots on the ground to do that. I probably know every coach and development officer by first name because there are only about six of them. There’s one for every club in Dublin! That's the main priority of the Gaelfast plan: to make Belfast a GAA city again. Belfast is the second biggest city in Ireland, if you had Belfast going well... It's a big challenge but it can be done. There’s an onus on the GAA to not pay lip-service to Belfast. It is now nearly seven years since the 31-year-old last played for Antrim at Casement Park. The redevelopment of the stadium has been caught up in the planning permission process, leaving the county's teams without a permanent home and in a nomadic limbo. "It should not have been closed in the first place," says McManus. "The decision to close it at the time, obviously without having planning permission secured, was not the smartest move that Antrim GAA have made and it’s cost us millions of pounds; cost us our home as well. "We are currently playing games in Cushendall, Ballycastle, St. John’s Corrigan Park, Belfast and teams come to play and they are probably as familiar with the pitch as many of the Antrim players. You’ve got no advantage really which isn’t good enough. "The old Casement was decrepit, it was damp, cold… brilliant like. I remember leaving it one day and one of the Offaly players absolutely hated the place and I thought, 'brilliant' because it was home - ‘welcome to the jungle’ - we played in that because it was useful to us." Beyond having a renewed home advantage, McManus thinks a return to Casement would help reinvigorate interest in hurling. "Casement is the key. It’s the key because I know when I was being brought up to Casement Park along with my brother and father to watch games, Antrim were a team performing at a higher level. "They would have been playing the big teams: Kilkenny, Galway, Cork, Limerick in Casement Park with 10,000 - 12,000 people there. The Ulster final even - Antrim vs Down or Derry - a big, big day in the Ulster hurling calendar. "What did that do? It made me, as a young fella want to get out there and play myself. We don’t have that at the minute. Even when Casement was open, you had all the Cumann na mBunscol games being played there, it was to show them Casement Park. "I have a great grá for Casement because every Friday at one o’clock I’d finish work and go down hit frees for an hour; then go to Andytown leisure centre. "You get to know people in that area of West Belfast. What a brilliant area, diehard Gaels, massively proud of their Irish traditions and heritage, and they want to see Casement thriving and we need to deliver it because we have no home."